Is this a brand new Nokia Windows Phone above? It could be but this 900/800 hybrid could also be an old prototype running Windows Phone 7.8. It is hard to tell and the person who posted these images online just sent out these 2 images and deleted their account. Could this be a brand new device? Hopefully we will get more answers soon. Microsoft Set to Merge Windows Phone and Windows Store Developer Accounts? Only $19? 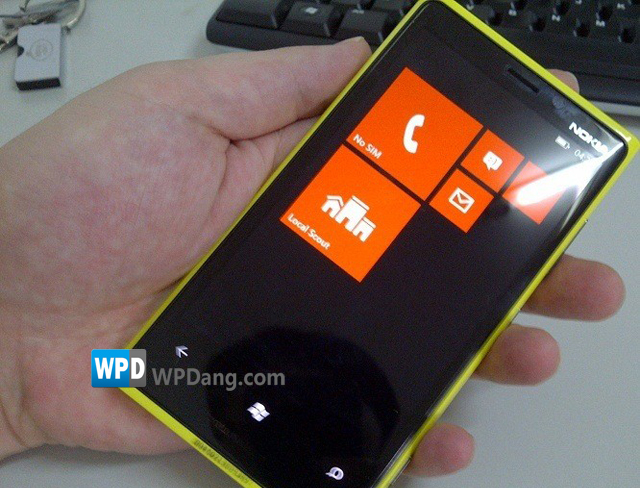 Written by: Hyde13 on August 7, 2012.
i think it’s a wp7.8 unit/prototype because of the windows (phone) 7 logo/button. The W(P)8 logo is different. However, I would like the bottom to be smaller – like on the 900. I haven’t tried the 900 for at very long time so maybe it’s annoying but on the 800 i think too much space was “wasted”. I can’t wait to see what Nokia and MS have in mind for the september event! 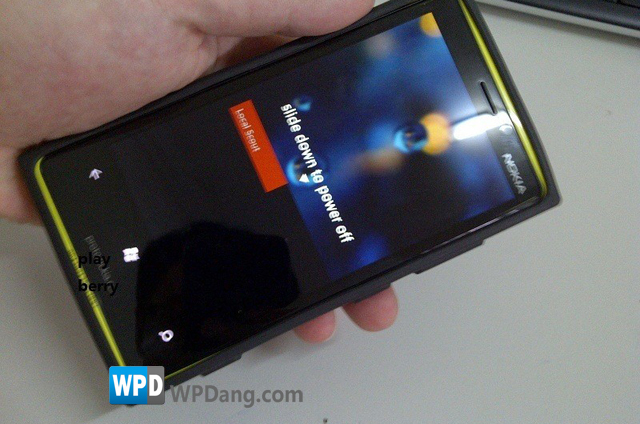 Agreed; I do not think this is a WP8 model. Most likely a prototype that has 7.8 on it. I use the 800 and don’t mind the extra space at the bottom but I wish that the navigation buttons were slightly lower. They are too close to the screen especially with a 3.7″ screen. If it was a larger screen it would be more managable.